Arrival at the airport and welcome. Transfer by private bus to the villa and welcome cocktail in the villa terrace, overlooking the Tuscan countryside. Time at disposal to relax at the border of the swimming-pool. Welcome dinner with typical Tuscan menu at the villa restaurant. Transfer by private bus to Siena where a specialised guide in the history of Palio will lead the participants along the streets of the city and Contrada, visiting also a Contrada museum with flags and ancient Sienese dresses. Light lunch with typical products. In the afternoon the participants will assist to the horse race (Prova Generale). Outdoor dinner at a Contrada with the “contradaioli” (Sienese people belonging to the Contrada) celebrating the Palio feast with choirs, songs and coloured flags and eating typical food and drinking good wine. Return to the villa for the overnight. 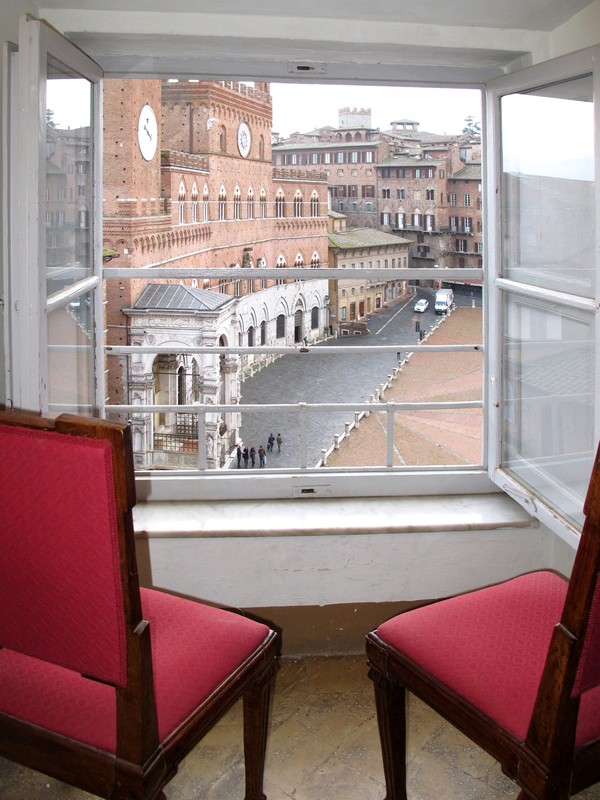 Relax in the early morning before meeting the guide who will lead throughout the Palio feast for the all day long. 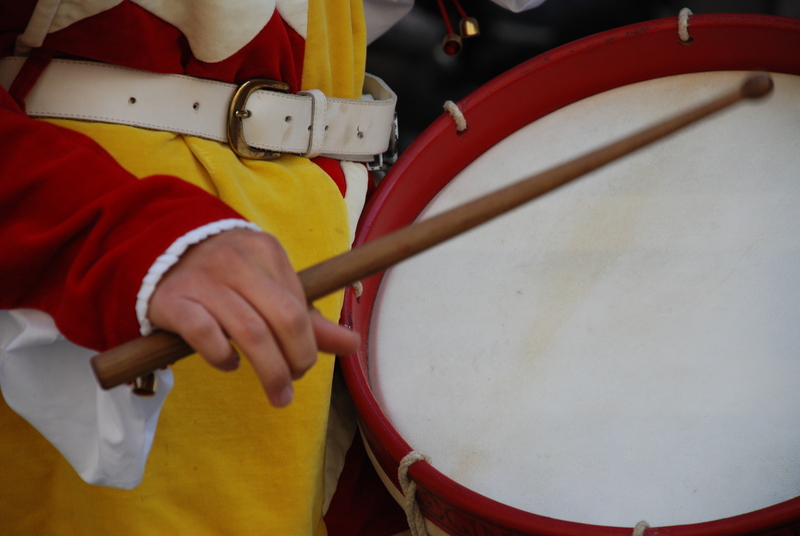 After the benediction of the horse in the Contrada church and a visit of the Cathedral with the flags, the participants will taste the magic and enchanted atmosphere of the Palio tradition, made of colours, emotions and particular feelings. Personal and private buffet with After the horse race, dinner at a characteristic restaurant of Piazza del Campo, with candle light, where people will be celebrating the Contrada winner the Palio for the all night long. Return to the hotel for the overnight stay. Escorted tour to San Gimignano, the “hamlet with one hundred towers” belonging to the XII century. Vernaccia wine tasting and light lunch at a famous enoteca. Spare time before returning to the villa. Dinner at the villa club with local traditional cuisine and a selection of fine Tuscan wines. Vintage cars tour: one car for each couple will be dropped-off at your guests accommodation. In the morning departure for the pre-organized tour with the assistance of car assistants. We suggest an excursion along the vineyards of the south towards Montalcino and Montepulciano, where breathtaking landscapes are a nice occasion for shooting pictures. A relaxing stop can be provided in typical winery estate: wine lovers can taste different kind of Nobile or Brunello, locally produced. Continue of the excursion to Pienza, a romantic hamlet, especially known for Pecorino cheese production: at a diary participants will taste some different kinds of hard cheese. Return to the guests accommodation. Dinner at a restaurant in San Gimignano. Escorted tour to the seaside. Visit to the ancient hamlet of Castiglione della Pescaia, short walking tour before a private boat trip. Light lunch nearby the coast. Spare time for a sun bath before returning to the villa. Guided excursion to Florence, one of the most representative Italian city of art. A private guide will lead you through the most important sites. Brunch at a famous Florentine trattoria. Spare time for shopping and tour of Fiesole before returning to the villa. Check out and departure to the airport. Air conditionning in apartments and all consumptions, swimming pool use.